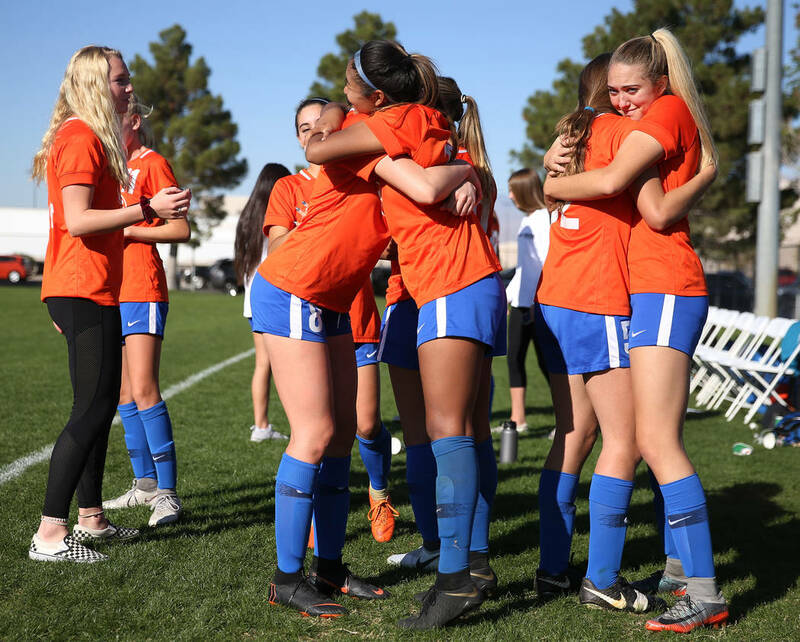 Gianna Gourley had a hat trick, and the Gaels completed an undefeated season and won their second state championship in a row with a 4-0 victory over Galena on Saturday at Bettye Wilson Soccer Complex. 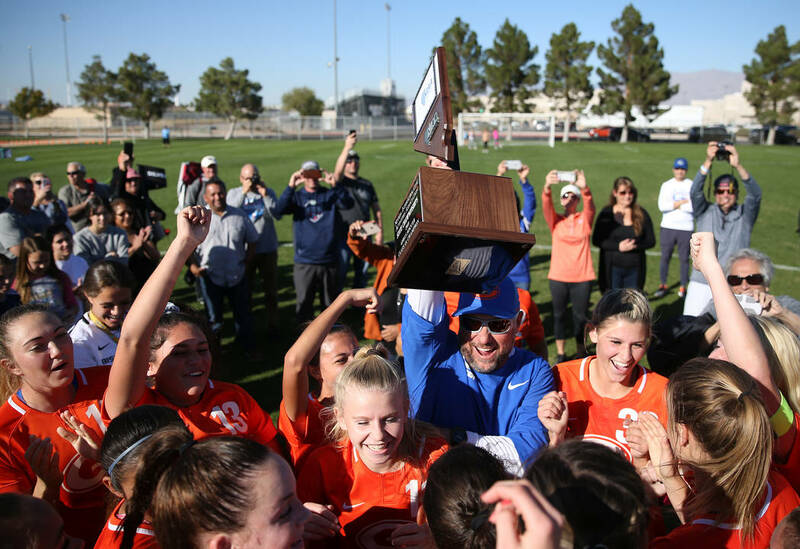 In what he agreed was a “bush league move” Bishop Gorman girls soccer coach Doug Borgel dumped out the Gatorade bucket on the sideline with five minutes left in Saturday’s Class 4A state title game. Didn’t matter much. His players got him with the water bucket. 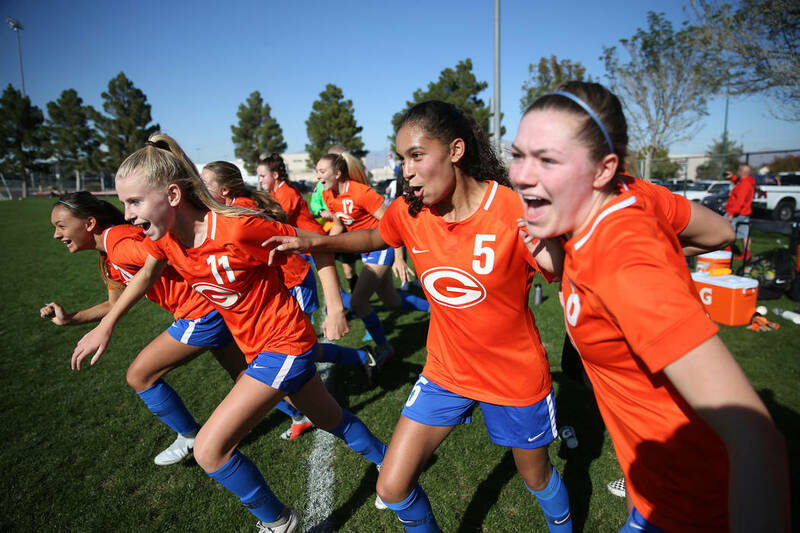 Gianna Gourley had a hat trick, and the Gaels completed an undefeated season and won their second state championship in a row with a 4-0 victory over Galena at Bettye Wilson Soccer Complex. Gourley turned it on in the second half, scoring three goals with assists from a different Gael each time. 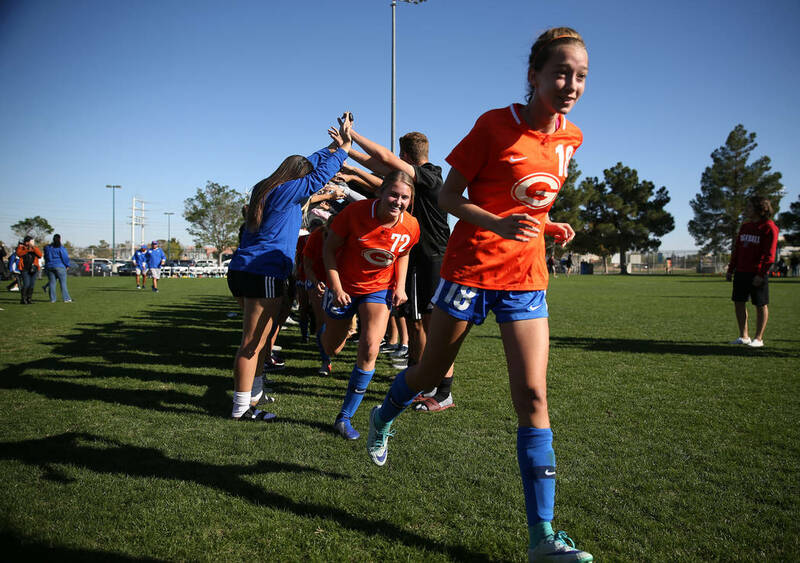 After Jacqueline Hillegas got Gorman on the board with a 33rd-minute goal, Gourley first scored in the 48th minute from Ashtyn Fink, then in the 63rd from Jaden Terrana and finally in the 65th from Hillegas. 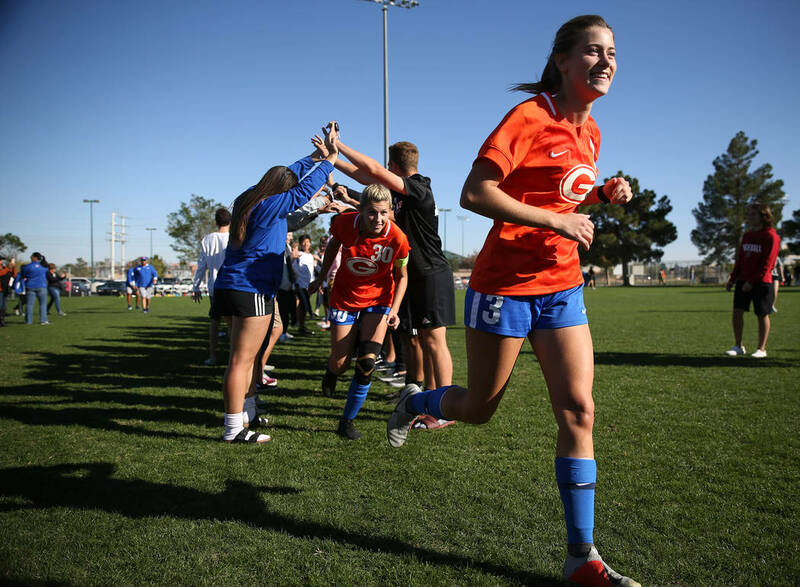 “I was so fortunate to get three goals in my final game and go out like that,” Gourley said. 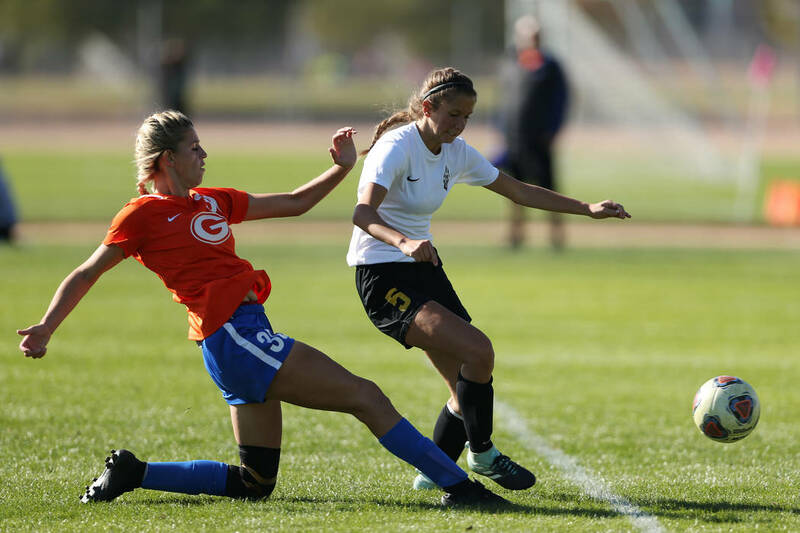 In their last two games, the Gaels (27-0-1) staked early leads only to see Faith Lutheran fight back Monday, then Palo Verde on Friday. 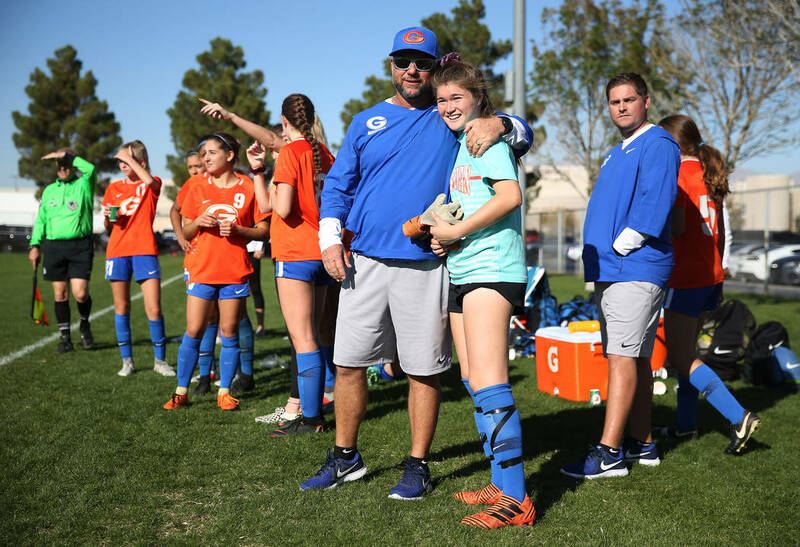 Both times they went up 3-0 and won 3-2, so Borgel’s halftime speech was to ensure that did not happen again. The offense was terrific, but the defense turned in perhaps its best performance of the season. 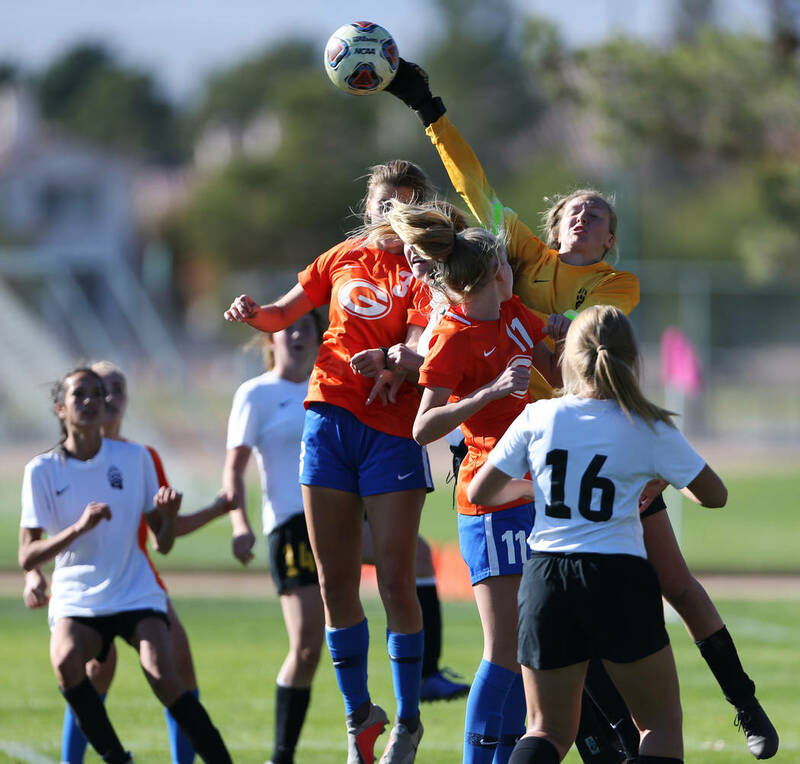 The Gaels held the Grizzlies (21-1-2) to five shots and only one on target, making the job of keepers Kirsten Kircher and Maris Findlay quite easy. 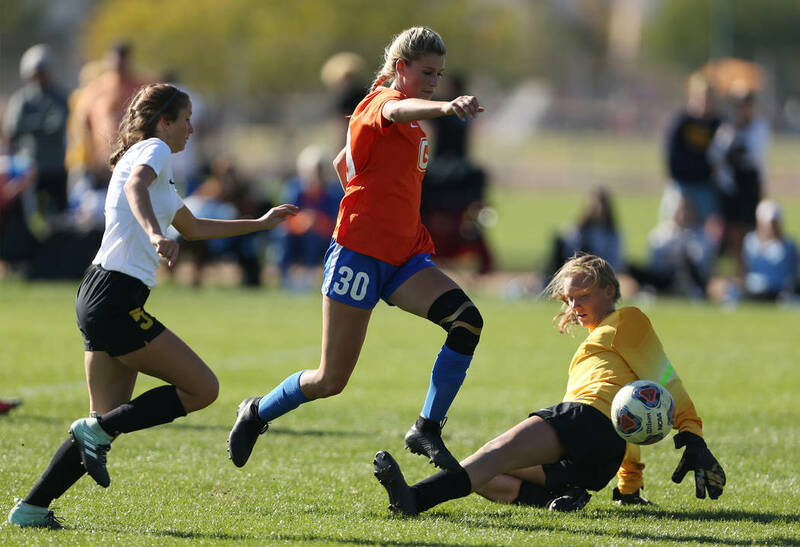 Gorman kept the ball in the Galena end most of the first half and allowed one off-target shot in the first 40 minutes. 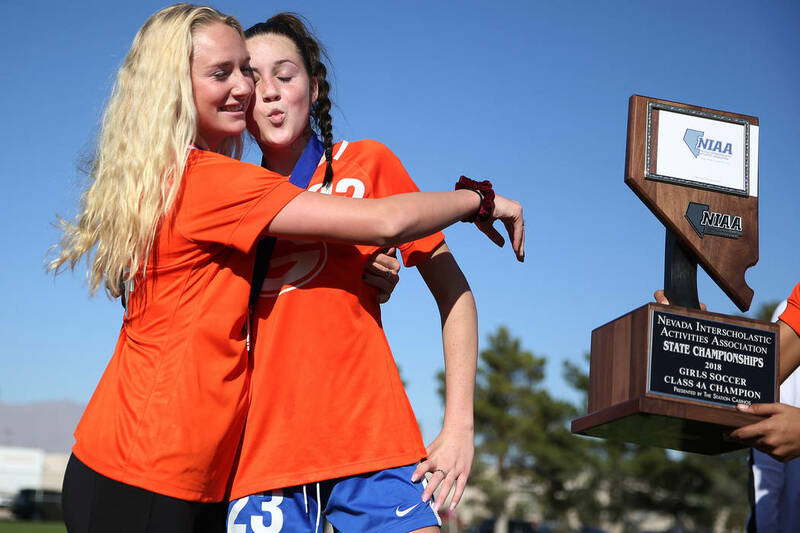 Truckee defeated South Tahoe 4-3 at Bettye Wilson Soccer Complex to win its third consecutive state title.